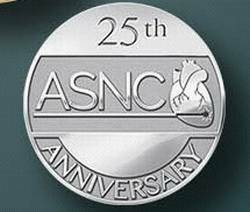 Show off your ASNC pride with these new silver anniversary lapel pins! 7/8â€� wide die struck metal lapel pin with military clutch. Sandblasted polished imitation rhodium plated finish.